One of the lines I’m tired of hearing from anti-gun politicians is that they support “reasonable” gun laws—or, as likely Democratic presidential nominee Barack Obama put it, “common sense regulation.” Sen. Obama, of course, was talking about Washington, D.C.’s ban on guns for self-defense in the home, which only goes to prove the old saying that common sense isn’t so common. Obama went on to support the “rights” of cities and states to regulate guns and gun owners. With the national political party conventions close at hand, this is a good time to look at the laws that anti-gun politicians think are “reasonable” to impose on you and your fellow gun owners. 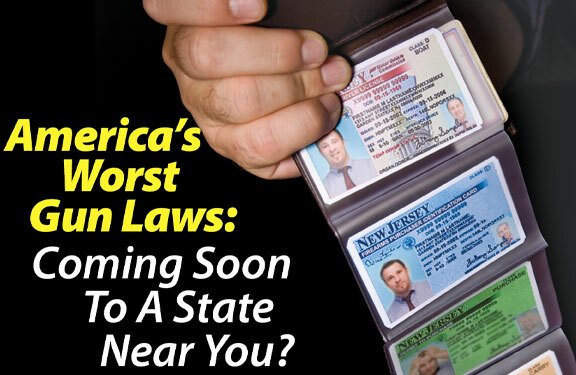 One of the questions we often get at NRA—from members and the media alike—is, “Which state has the worst gun laws?” That’s always been a hard one to answer. What would make a state’s laws the “worst”? First and foremost, it’s the severity of the restrictions. Of course, any outright ban would count. California is probably the leader among the states for this dubious prize, with its bans on scores of semi-automatic rifles, pistols and shotguns. California law also allows the state Department of Justice to ban even more semi-autos by regulation—though that process, fortunately, is on hold due to NRA-backed litigation. In addition to its semi-auto bans, California bans sale of “unsafe handguns”—defined several times in the last few years to include whatever type of perfectly ordinary handgun the gun ban groups happen to be targeting. Even more bans are now pending in the California legislature. Short of outright bans, a few states require licensing of gun owners or the registration of handguns, long guns, or both. Hawaii takes this to the extreme, requiring registration of “firearms of any description, whether usable or unusable, serviceable or unserviceable, modern or antique.” So if you own a wall-hanger that’s so old it isn’t legally a “firearm” under federal law and is in such bad shape it can’t be fired at all … you’d better head on down to the police station and do your paperwork anyway. At least Hawaii gives you three whole days to take care of that chore. 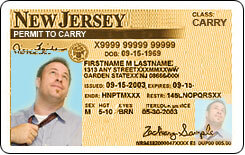 New York state doesn’t give new residents any grace period at all before requiring a license to possess any handgun. The ease of getting a license varies from county to county; so a handgun owner moving to New York state has to leave his handguns behind, then roll the dice with his local judge or police department (depending on the county) in hopes of actually getting the license. Many licensing laws also restrict ammunition. When NRA-ILA’s Grassroots Alert reported on a Massachusetts fourth-grader who was suspended from school for possessing a fired blank cartridge case from a Memorial Day ceremony, we got a flood of e-mail from readers outraged by the injustice—and a pro-gun blogger (www.snowflakesinhell.com) wrote to point out that everyone who handled the cartridge case and who didn’t have a Massachusetts firearm license could have been charged with a two-year state felony. Some laws are so complex that a normal person just can’t understand them, no matter how carefully he wants to obey the law. California, again, would surely be in the running for this category. In the Bureau of Alcohol, Tobacco, Firearms and Explosives’ 468-page compilation of state and local laws, California’s laws fill 68 pages of fine print. Five states combined—California, Illinois, Massachusetts, New Jersey and New York—fill a third of the book. And those are just the laws BATFE decided were relevant for dealers to know, so the book doesn’t include restrictions on carrying or discharge of firearms, operation of shooting ranges and other issues that are important to the average gun owner. I could go on, of course, with even more absurd examples. 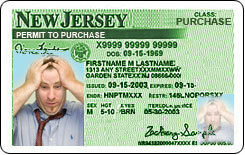 A New Jersey law, for example, says that when a person is transporting a handgun, “the course of travel shall include only such deviations as are reasonably necessary under the circumstances.” So if you take a side trip to get lunch with your shooting buddies after a morning at the range, you might be breaking the law in the Garden State. Other laws are downright exotic. 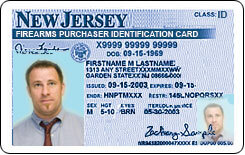 Rhode Island’s “Application for Purchase” of a gun (whether a handgun or long gun) requires the buyer to list any tattoos. Fortunately, the law doesn’t require the dealer to inspect the tattoos personally. Now, what all these ridiculous laws have in common is that they were passed by politicians. Each time, they would sell these “reasonable” laws as necessary to protect the public from crime. When the laws fail, of course, there’s only one proposed solution: more laws. In Louisiana this year, we had to fight—and defeat—a bill that would have banned many common pump-actions as “assault weapons.” And as this article goes to press in June, we are still fighting state bills that would make gun owners criminals if they don’t report lost or stolen guns, as well as bills that would impose “micro-stamping” requirements, magazine bans and other restrictions across the country. Any gun owner who tells you, “This won’t happen in my state” should remember that all the states that have passed these laws also elect members of the U.S. House and Senate. Over the last few years, we’ve seen federal bills introduced to ban common hunting rifle ammunition, to impose “micro-stamping” requirements more severe than California’s, to regulate gun shows out of existence and to reinstate or expand the expired Clinton gun ban. These proposals are especially important because of one of their supporters: Sen. Barack Obama. During his brief career in the U.S. Senate, he voted for the ammunition ban. During his brief service in the Illinois legislature, he voted against reforming Illinois’ “Firearm Owner Identification Card” law, voted for new restrictions on gun shows and backed local handgun bans, by voting against a law that would have protected those who used handguns in self-defense. In addition to the bills he’s actually voted on, Obama has voiced support for bans on handguns, on many semi-autos and on standard-capacity magazines. He’s supported “micro-stamping,” waiting periods and rationing of gun purchases. He’s stated his opposition to Right-to-Carry laws. And he’s supported a ban on gun stores within five miles of a school or park—a proposal that would shut down gun sales in nearly the entire inhabited United States. If Obama is elected president, you can be sure many of the worst gun laws in the states will have a new friend in Washington. That alone is enough reason for every gun owner to vote this November.